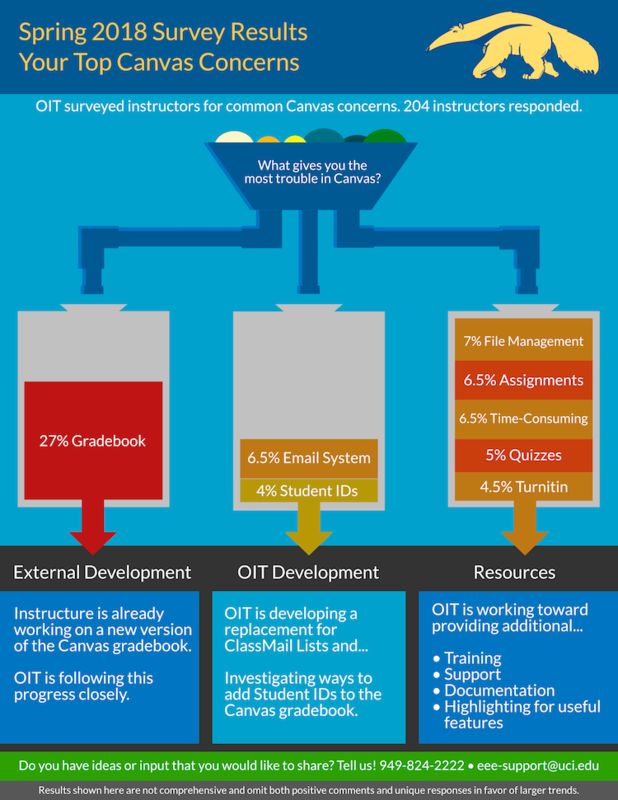 In Spring 2018, we surveyed all instructors about the challenges involved in using Canvas. We’ve summarized the results and what is being done to address the top concerns. Feedback like this is invaluable to the transition project and we greatly appreciate the time instructors took to complete this survey and share their experiences with the EEE Team. 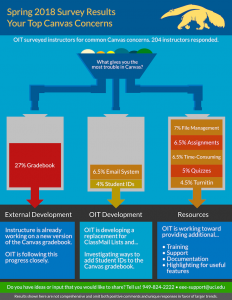 We welcome your questions, comments, and concerns and encourage you to reach out any time via eee-support@uci.edu!